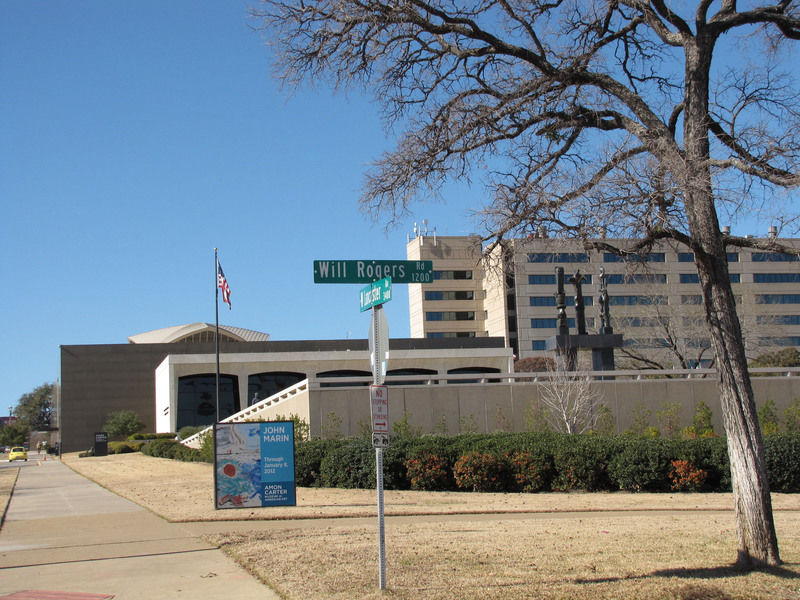 Although Will Rogers was from Oklahoma, there is a huge complex dedicated to Will Rogers here. This is the location of the Fort Worth Rodeo which begins the Circuit of events culminating in Houston. The barns and exhibit halls are immense and there is a succession of horse and rodeo events beginning the second week of January—lucky for me to be there the first week as the hotels are all packed during those weeks. The Amon Carter Museum focuses on American Art. After touring the Stark Museum in Orange and the Steamboat Museum outside of Beaumont, I didn’t really see anything that was striking here. There were several groups of school children led by docents who spent a lot of time discussing the works of art. I was amused to hear that impressionistic paintings were created by very quickly dabbing bits of paint on the canvas. The collection included a variety of sculptures and paintings including two Georgia OKeeffe’s—a flower and one of birch trees both early works. I was pleased to see an Eakens and a Remington—my favorite recent American artist. A retrospective of John Marin’s work was on display. Marin was a painter in the 1930’s and 40’s who worked in both oil and watercolor trying to make each media behave and look like the other—not very successfully in my opinion. He included some symbols in faint black lines reminiscent of Kandisky—but the colors he used were dark and muddy. I could not find one painting that I ‘liked’ although his subject matter was cityscapes and seascapes. Marin was named the best American painter of his time and I am glad I had the opportunity to see it but certainly did not buy the exhibition catalog.